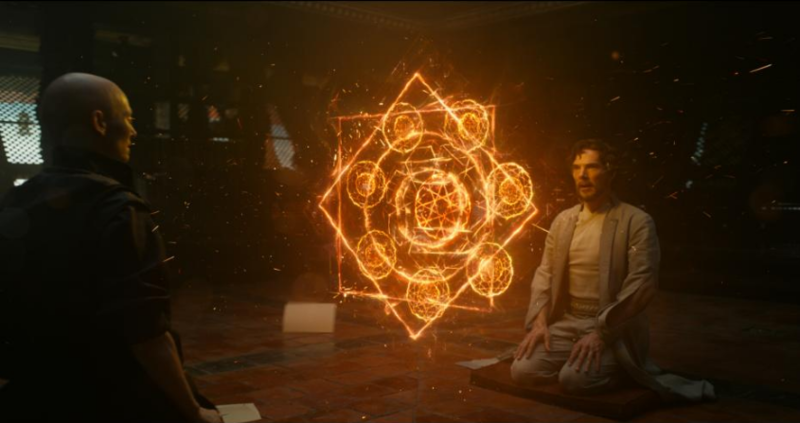 I have to tell you guys – I absolutely LOVED interviewing all of the cast from Doctor Strange (coming out in theaters November 4th!) 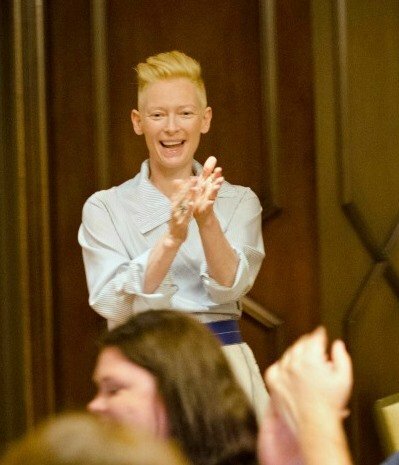 , but there was something special about interviewing Tilda Swinton. She is so poised and timeless and when she talks with you she looks straight at you intently paying attention. It didn’t seem like “just another interview” with her – she was genuinely interested in the chat! Q: What was it like getting into costume for The Ancient One? A: Oh it’s such a great costume! It’s like pajamas. And those beautiful colors……really wonderful. Q: Did you have any struggles with this particular role? A: The only real struggle was casting spells – learning all these amazing things with fingers, and then remembering what to say at the same time. And then they would say, ‘So you have to put your hands there, not there because the light is going to go here so that kind of masks it’….but it was all good. Q: How did you feel about being cast in a role that’s traditionally an Asian man? A: Well you know, the comic strip was an Asian man, in fact, a very ancient Tibetan man living on the top of a mountain. The film script that I was given wasn’t an Asian man, so I wasn’t asked to play an Asian man – I was asked to play an ancient Celtic person. I think was a really, really cool move, you know, to put a woman in the Marvel universe who’s not twenty-one and in a bikini. It was a good thing. I think it’s important, the idea of a sorceress supreme being a woman. Q: How did you feel about being bald in the movie? A: Well it was my decision – it was my suggestion. We had several months of playing with options, all sorts of weird wig ideas, all sorts of long lobes…..eventually, it felt like less was more and I loved it. I thought it looked really, really ancient, but also kind of modern and rad. It was a nice feeling, as well. Q: What was the dynamic of everyone on set? A: We were sooo happy! For me, it was like being asked to join the circus. We all joined the circus and we were all given these incredible costumes and everybody in the Marvel universe that I’ve met so far is so psyched to be a part of it……..nobody’s jaded, everybody’s psyched. It’s a playground! Q: What are your thoughts after seeing yourself in the film? A: I was really, really happy. I was so impressed with the way in which it turned out. I don’t know whether it’s the way in which it’s in this heightened universe and everybody looks like Marvel characters. We don’t really look like ourselves. There’s something very smooth about everything, and that’s to do with the way it’s lit, and the way it’s designed. And it’s cut like a comic strip. So it’s quite an experience….it was better than I’d hoped. Q: How would you describe your character, the Ancient One, in one word? 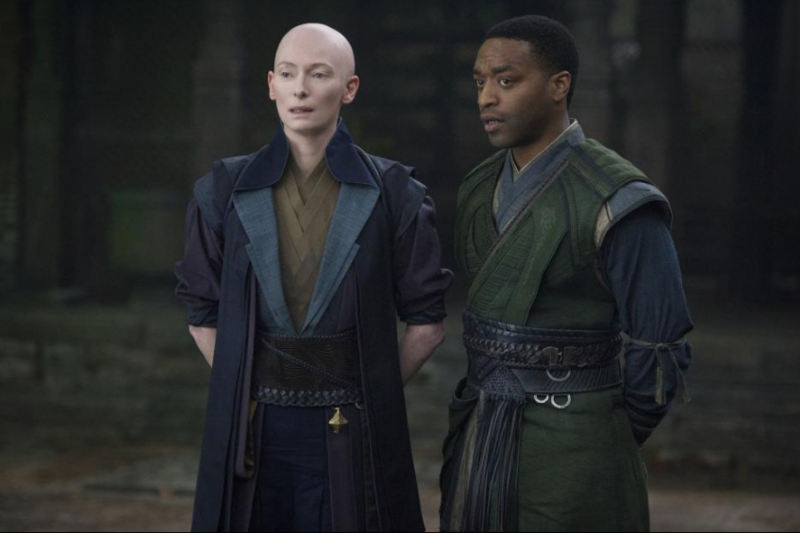 I LOVED the message Tilda Swinton took away from playing her role in Doctor Strange! 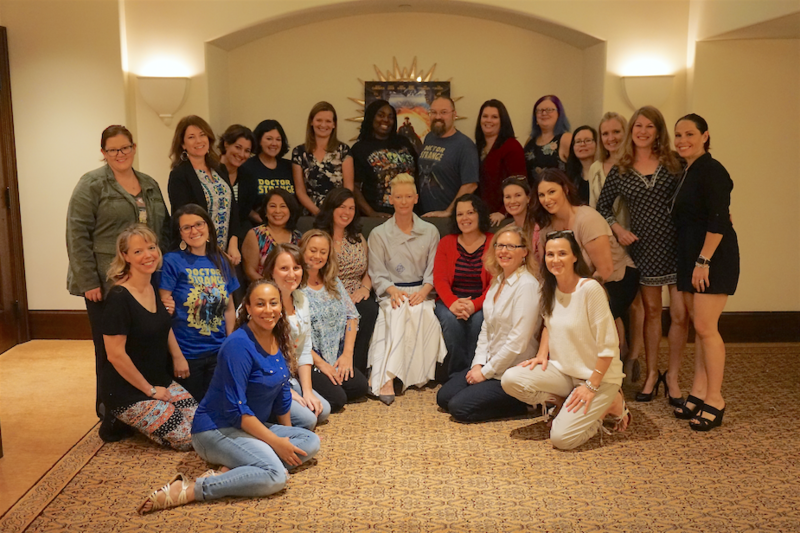 Stay tuned for some more spoiler alerts from Tilda Swinton after November 4th in response to some of my questions during the interview!